In the study presented, as we report in this paper, we describe our theoretical and practical consideration to engage first-year pre-service teachers in proving activities in the context of a transition-to-proof course. 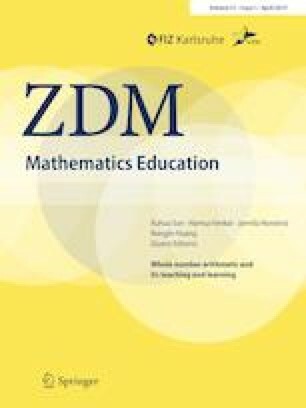 We investigated how students argued to verify a claim of elementary number theory on entering university and compared the results to their performance in the final examination of the course. Subsequently, we elaborate on the following results: On entering university, students do not seem to be capable of using algebraic variables as a heuristic to engage in reasoning. However, after learning about different kinds of proofs and the symbolic language of mathematics, students give evidence of starting to value mathematical language and of enhancing their proof competencies. Biehler, R., & Kempen, L. (2013). Students’ use of variables and examples in their transition from generic proof to formal proof. In B. Ubuz, C. Haser & M. A. Mariotti (Eds. ), Proceedings of the Eighth Congress of the European Society for Research in Mathematics Education (pp. 86–95). Ankara: Middle East Technical University. Retreived from http://cerme8.metu.edu.tr/wgpapers/WG1/WG1_Kempen.pdf. Accessed 12 Sep 2018. Blum, W. (1998). On the role of “Grundvorstellungen” for reality-related proofs: Examples and reflections. Proceedings of CERME 3. Retrieved from http://www.erme.tu-dortmund.de/%7Eerme/CERME3/Groups/TG4/TG4_Blum_cerme3.pdf. Accessed 12 Sep 2018. Hemmi, K. (2006). Approaching proof in a community of mathematical practice. Stockholm University: Stockholm. Retrieved from http://www.diva-portal.org/smash/get/diva2:189608/FULLTEXT01.pdf. Accessed 18 Sep 2018.